Gil Klinger, Deputy Assistant Secretary of Defense for Space and Intelligence. DoD photo. As part of an effort to control costs, the U.S. Air Force will be shifting the GPS III program to a fixed-price contract, a Pentagon official told members of a House subcommittee recently. To help deal with the fiscal squeeze, the Air Force is using innovative and fixed-price contracting as well as a more evolutionary approach to upgrades, Klinger told members of the Strategic Forces Subcommittee of the House Armed Services Committee in a March 8 hearing on the Fiscal Year 2013 National Defense Authorization Budget Request for National Security Space Activities. Among the changes Klinger described in his written statement were “virtual” fixed-price deals, revised incentives, advance appropriations and contract structures for primes, block buys, and technology development. And the GPS program will be one of the programs seeing changes early on. 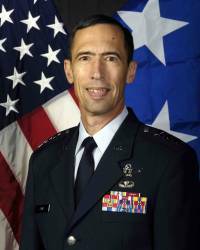 “In GPS III we are modifying the acquisition strategy from a cost-plus to fixed-price contract,” said Klinger. 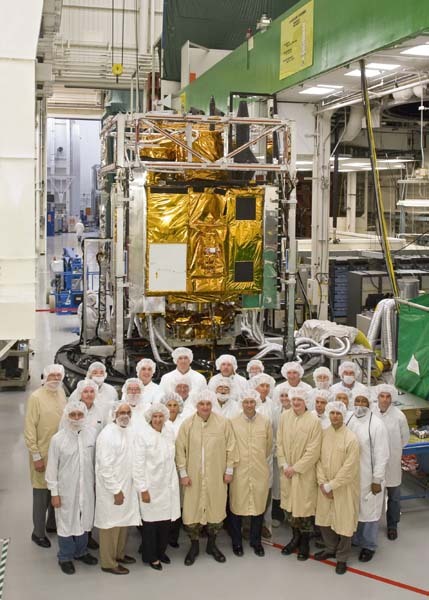 The switch could happen within the first block of GPS III spacecraft, Air Force Space Command said in written response to a question from Inside GNSS. If approved, that could represent an interesting point in the program for Lockheed Martin to begin assuming the risk for problems. As reported by Inside GNSS earlier this year, a Lockheed report to the Air Force indicated that it was possible to begin doing dual-satellite launches — putting two satellites on one rocket — starting with GPS III SV5 and SV6. Dual launch has been described by program experts as critical to keeping the costs of the program down and the constellation at a steady level of capability. Lockheed Martin, however, appears ready to make the switch. “As we transition from the design and development stage to the production stage, it would be appropriate to transition to a fixed-price type of contract because the risk is largely behind you and you are into larger-scale production, said Lockheed spokesman Michael Friedman. And there are other changes on the horizon. “The Air Force is also modifying its approach to the follow-ons to the first block of GPS IIIs,” said Klinger, “by providing ‘on ramps’ to add capabilities when mature and affordable.” This approach makes it possible to maintain “a steady production line while inserting new technologies as they mature and funding becomes available,” AFSPC explained. Under the GPS III contract, awarded to Lockheed Martin in 2008, the Air Force retained the right to rebid the second and third phase of the GPS III contract. Boeing, the prime contractor for the GPS IIF contract, already operates under a fixed-price contract.